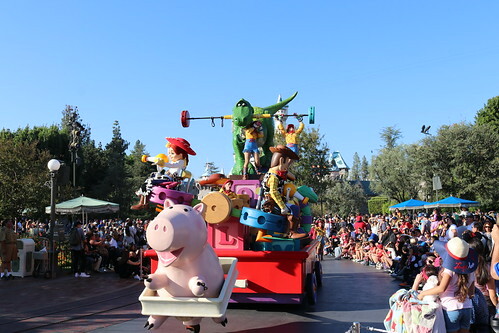 Pixar Play Parade is a parade at the Disneyland Resort. 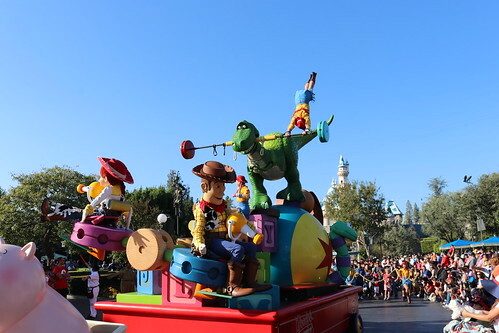 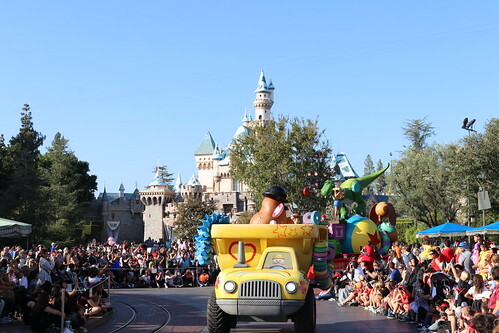 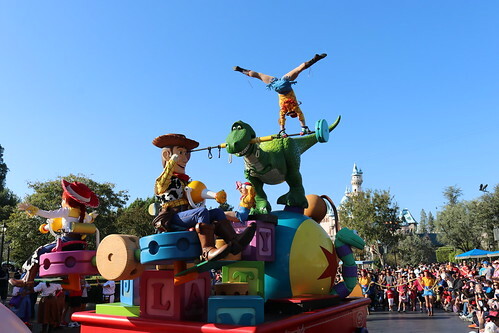 The parade features floats and characters based on Disney·Pixar films such as Monsters, Inc., The Incredibles and Toy Story. 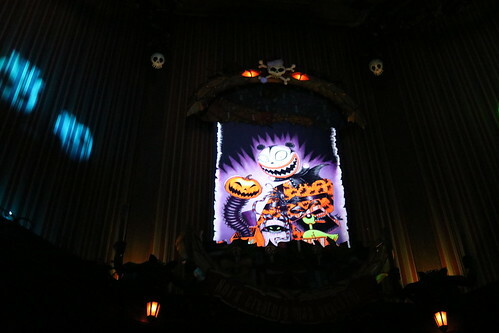 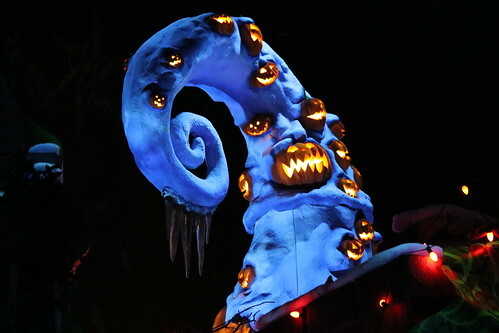 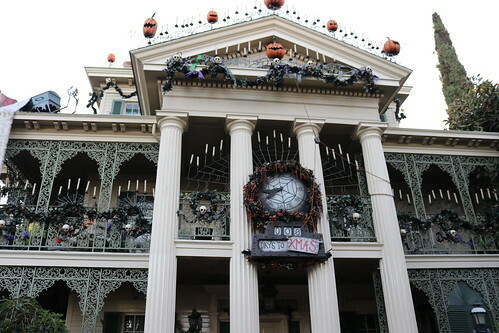 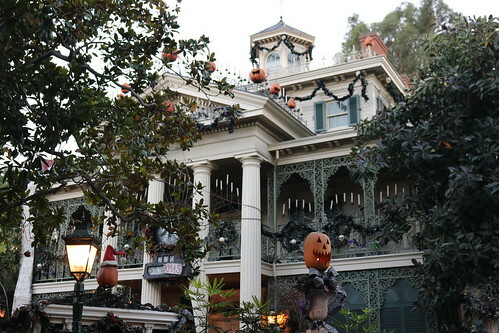 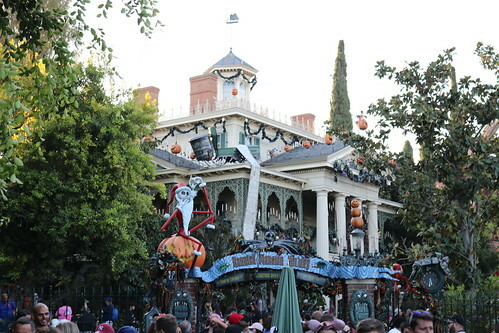 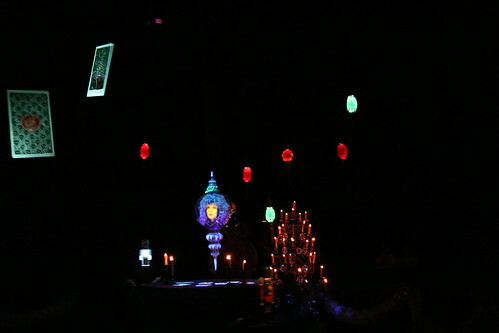 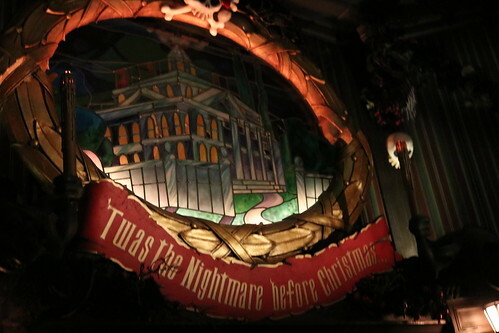 Haunted Mansion Holiday, also known as Haunted Mansion Holiday Nightmare, is a seasonal overlay of the Haunted Mansion attraction at Disneyland that blends the settings and characters of the original Haunted Mansion with those of Tim Burton's 1993 film The Nightmare Before Christmas. 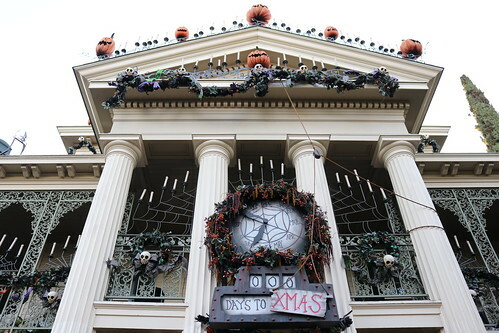 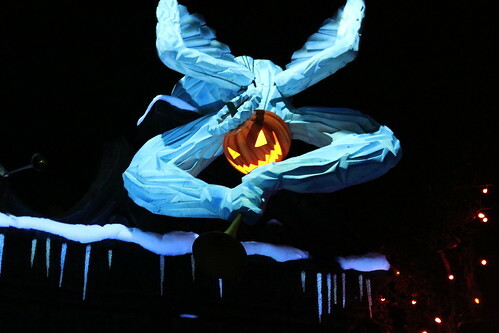 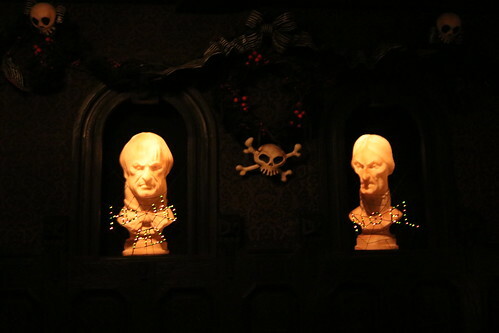 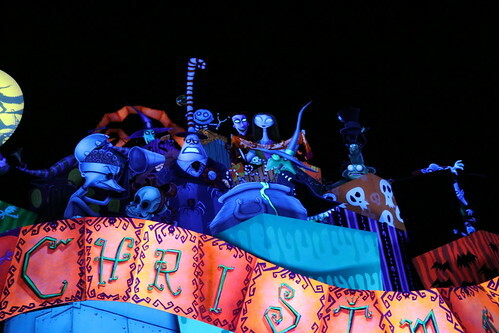 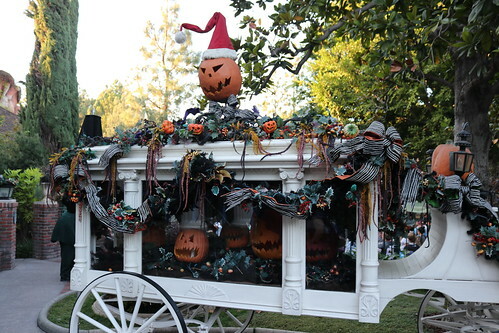 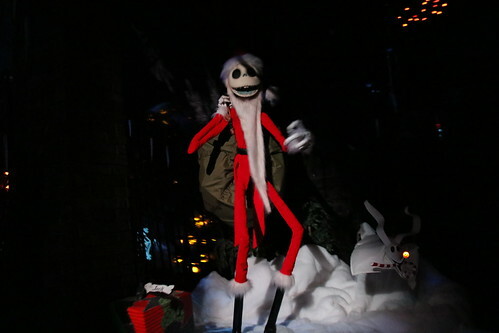 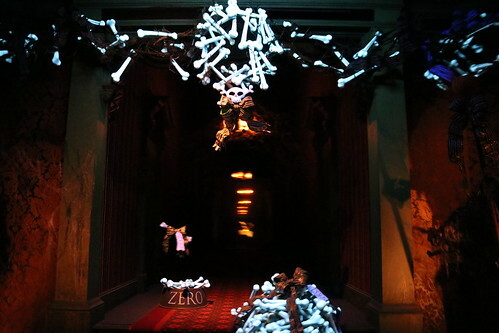 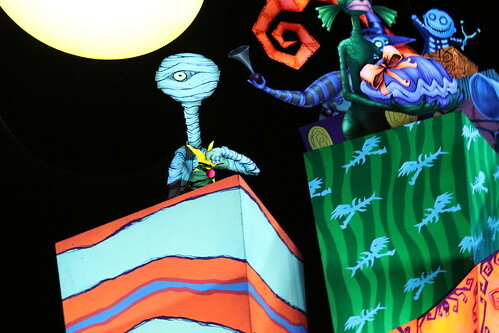 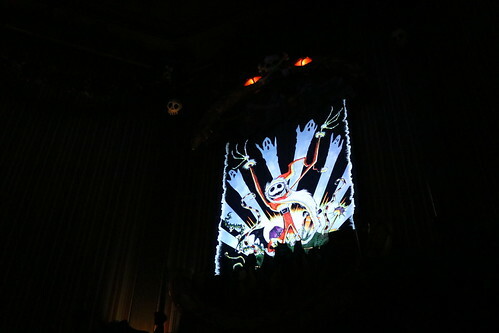 Taking inspiration from "The Night Before Christmas", the attraction retells the story of Jack Skellington (as "Sandy Claws") visiting the Haunted Mansion on Christmas Eve, leaving holiday chaos in his wake. 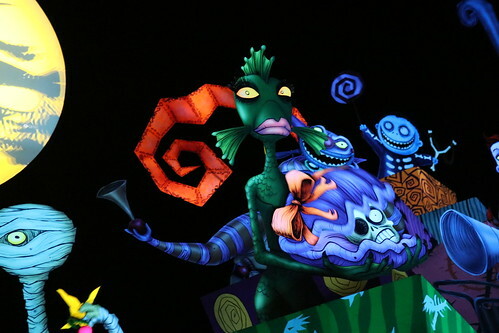 Primeval World is a short attraction on the Disneyland Railroad at Disneyland. 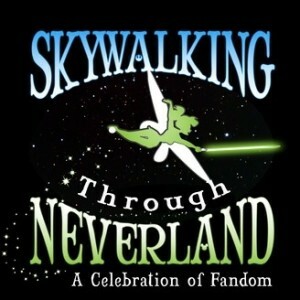 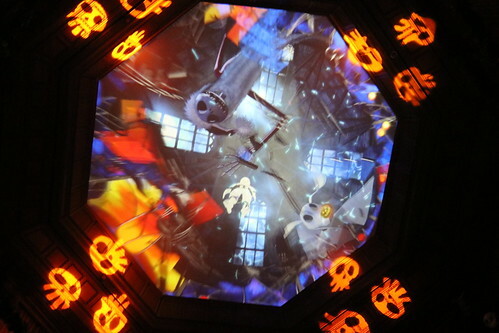 It was formerly part of the Ford Magic Skyway attraction at the 1964 New York World's Fair. 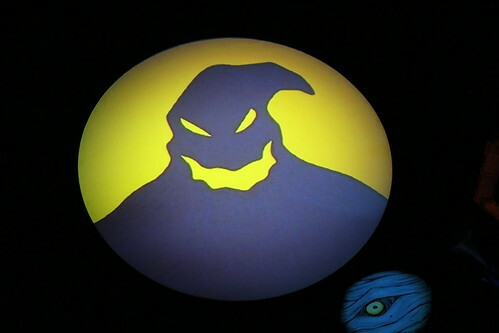 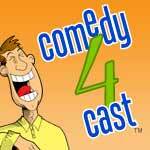 It is based on the Rite of Spring segment of the 1940 Disney animated feature film Fantasia. 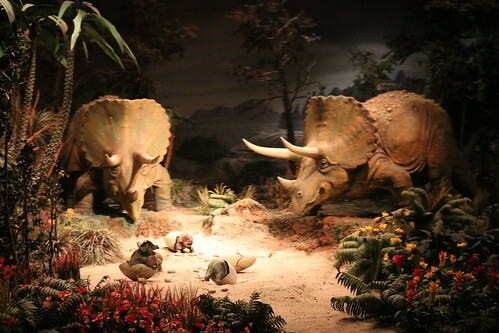 At the Primeval World, guests see a number of dinosaurs in a supposed natural habitat after traveling back in time. 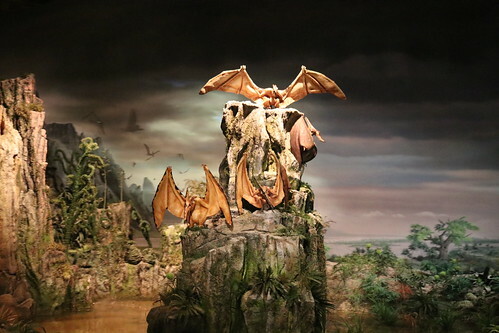 This includes a forest inhabited by Edaphosaurus, a swamp with a feeding herd of Brontosaurs and Pteranodons perched upon rocks and waterfalls, a Triceratops family and their nest, a group of Ornithomimus at a small watering hole in a scorching desert, and a Tyrannosaurus battling a Stegosaurus in a volcanic landscape.